Yes, we know it is Jango and not Django. But the quote the Devs used is from Django Unchained. And then, later confirmed, Jango Fett will be coming to SWGOH in a... drumroll... marquee event... Of course. BUT, they did say the next character would not be a marquee. So who will it be? How will that character come? And did we forget the Zam rework and the new Cad Bane ship? 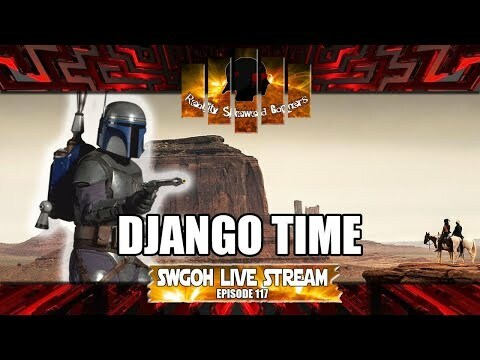 Seems like about Bounty Hunter Wednesday on this episode of the SWGOH Live stream!